One month down and eleven more to go. What did the first 31 days of January bring? Private sector job growth! In a recent article put out by CNNMoney (http://money.cnn.com), ADP, a leading payroll and business outsourcing solutions organization, reported that the private sector added nearly 200,000 jobs in January. This is over 15,000 more jobs than analysts had initially expected. Per the article, small businesses led the growth, adding on 115,000 positions, while medium-sized businesses followed, adding approximately 80,000 jobs. What does this mean? Well, obviously this is an outstanding start to 2013. Per the Department of Labor, new filings for unemployment claims fell over the past few weeks and the goods producing sector accounted for a percentage of the job growth. However, this news is especially promising to the Central New York area, which is home to many small and medium-sized businesses. At the close of 2012, NYS DOL’s labor statistics stated that over 70% of Central New York’s (Onondaga, Madison, Oswego, Cayuga and CortlandCounties) businesses had less than 10 employees working for them, 25% had 10-99 employees working for them and the remaining percent had 100+ employees on their payroll. At the close of 2012, private sector jobs in metro Syracuse had increased by approximately 900 positions. Lets keep this upward trend going! 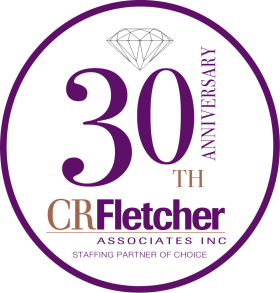 If you are looking to hire on in 2013, C.R. Fletcher Associates is here to help. Together, we can continue to grow 2013! !